A version of this article was originally published on the Media Impact Project blog. How does a documentary series inspire real social change? Screening hosts emphasized how audiences moved from feelings of surprise and compassion to action, and efforts to address the issues of concern. A case study by the USC Annenberg Norman Lear Center’s Media Impact Project illustrates how a 2016 series first broadcast before the 2016 election was used to reinvigorate progressive groups in the election’s aftermath. For media makers intent on social impact, it’s a story with important lessons for how to plan engagement that makes a difference. America Divided is an Epix documentary series that aired in the run-up to the 2016 U.S. presidential election and is now streaming on Amazon and Hulu. Its producers conducted an innovative engagement campaign to spur action against social injustice, and invited MIP to determine if their documentary series inspired real social change. 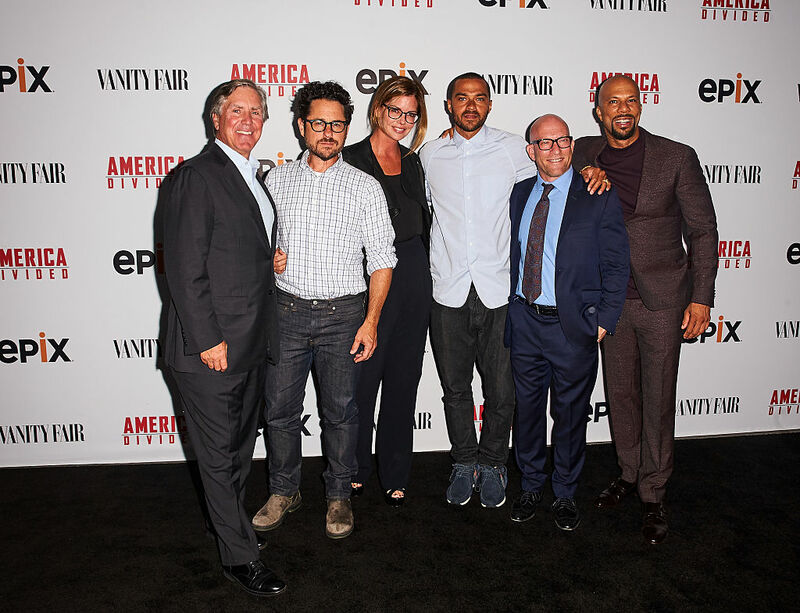 America Divided producers took 10 steps to engage citizens following the series’ broadcast. Somewere tried-and-true, such as using celebrity prestige to attract attention, but others were more innovative, such as editing several shorter, single-issue versions of the series that could be screened before niche groups. This varied approach helped America Divided to meet its producers’ goals for impact by building coalitions around the project as well as re-energizing a demoralized liberal base post-election. The MIP impact evaluation revealed that a key benefit was this re-invigoration of groups around the root causes of social injustice: the screenings and panel discussions gave activists a reason to assemble, to air their views and, more importantly, to talk about paths to solutions. Specific actions that grew from these assemblages include canvassing, starting social media pages, creating petitions, and signing up for planned marches and rallies, as well as organizing additional meetings and screenings. What can media makers take away from this case study? We identified 15 key insights that producers of all kinds can use to create engagement around their own work. 1. Think of broadcast as just the first step in your engagement campaign. 2. Forge partnerships with groups who can screen and promote your work. 3. Seek connections between your issue and any arts, civic, philanthropy or cultural groups and their own activist work. 4. Focus screening campaigns around one rallying issue. 5. Partner with regional PR firms that know the local players and issues and can unite disparate groups. 6. Be open to re-purposing edits that allow for issue or region specific coalitions. 7. Exploit celebrity power to cross-promote online, draw live audiences and create a relevant “face” for the issue. 8. Use screenings as forums for people to assemble, discuss and create community. 9. Engage audiences in panel discussions following screenings to promote deeper dialogue and create plans for social action. 10. Support learning with fact-based resources for deeper study. 11. Keep the momentum going by continuing to supply content to your partner groups. 12. Reach out to different-minded audiences to promote civil discourse. 14. Make certain screening partners can easily access your materials. 15. Keep your website current so that it becomes a source for news on your issues, and maintain ongoing dialogue with your digital audience. Laurie Trotta Valenti is a writer and media educator currently managing the Media Impact Project at USC Annenberg Norman Lear Center.